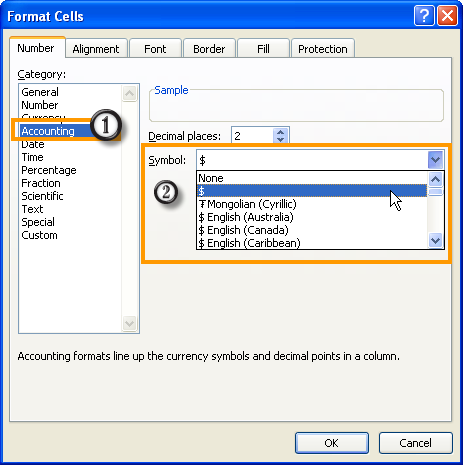 You can add currency symbol to your numbers in excel. I use "Rs " to show numbers in Indian Currency. You can replace it with your symblol. If I am not mistaken the Rs. symbol will be there as per International settings in Control Panel. 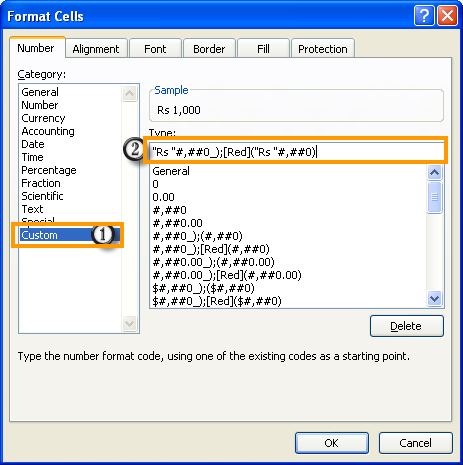 Also http://www.dq.winsila.com/tips-tricks/an-excel-addin-to-show-currency-in-indian-format-and-words.html is a great resource to have. PS. : BTW, your posts at PHD are welcomed. How can I sum the numbers in a column in Excel where some numbers carry a "<" sign in front of them (such as <1) and I want to include numbers such "<1" in calculation as "1". I would like to value to be returned as "2" when I apply "sum" function. Excel does not recoganise numbers with "<" sign as numbers and will not include them in calculation. You will need to remove them before getting them included into calculation. 1. Select the cells or entire range with numbers having "<" before them. You will have this removed from all the numbers and excel will recoginse them as numbers that can be used by formulas. Thanks Rick - I would have never found it. Thanks Yogesh for a helpful site. Pl let me know how can i get the accounting type display format through programming in C#.Net. I using your Yogesh.ExcelXml so pl let me know according this asap. Also Need password for your Module to edit. So please give me function to conver into gujarati words. please give module. All I want is to remove the "PhP" sign. Please help! thanks for the tips and information.currency converter i really appreciate it..